Well, we've got Pride and Prejudice and Zombies, so why not incorporate zombies into more items associated with her work? 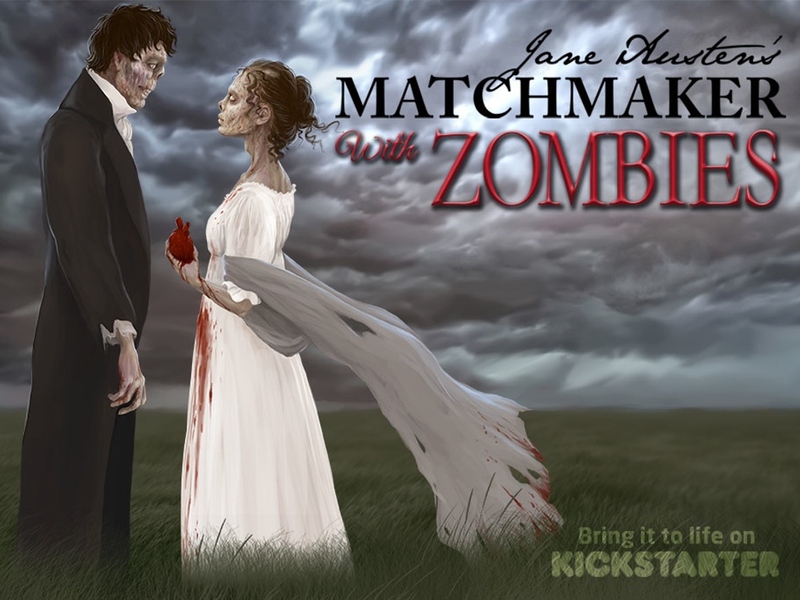 As such, Jane Austen's Matchmaker with Zombies is up on Kickstarter and looking for some funding love. Because everything's better with zombies. This set of 50 new cards is an expansion to the original game (so you'll need it in order to play, but you can get it as part of the campaign). The object is still the same, as you try and make perfect marriages for you ladies. But now, there's also zombies rampaging around (nothing ruins a wedding more than a horde of zombies). The campaign is almost fully funded with still 32 days left to go.